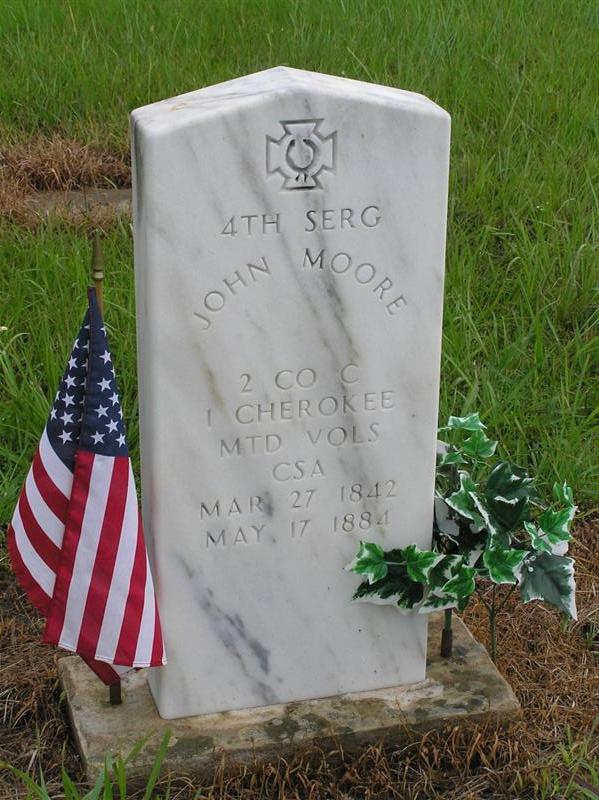 John Moore was the son of Matthew Reader Moore and Sarah Woodward (sister to my ancestor, Redbird Woodward.) He was a sergeant in Company C, Cherokee Mounted Volunteers, CSA. 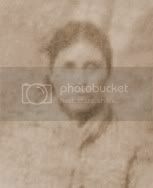 He was the husband of Susan Dennis (sister to my ancestor, Peggy Dennis) and they were the parents of William Moore and Sadie (Moore) Rowe. 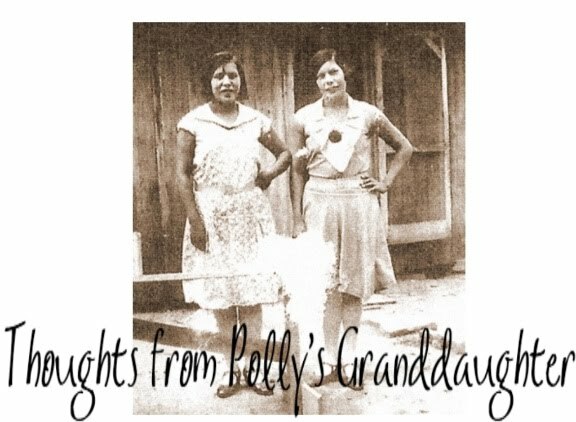 A few weeks ago, I featured a news article about the shooting of my great, great, great grandfather, Dave Tadpole. John Moore was with him and was also shot. John died from those wounds.